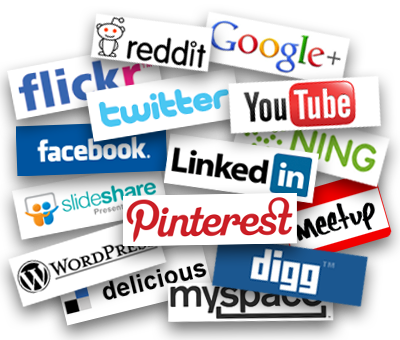 I don’t know about you, but to me it increasingly seems like everything revolves around social media. I know I couldn’t live without Facebook and Twitter. How would I talk to my friends, stay in contact with my family and know what’s going on in the world without Facebook and Twitter? And social media isn’t just an important part of our personal lives, it is also increasingly important when it comes to business and our professional lives. Virtually every industry and every business has now been impacted by the social media revolution, and the hospitality and tourism industries are no exception. A survey carried out by Four Pillars Hotels in 2014 found that, 32% of travellers’ blog about their travel experiences, 30% of hotel guests have used mobile apps to book a hotel, 52% of Facebook users admitted that their friends’ photos inspired their holiday choice, and 46% of travellers post online reviews on review websites. Clearly social media is having a huge impact on the way guests and travellers think and talk about their hotel stays. 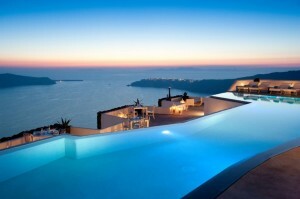 Social media is also changing how hotels interact with their guests and their prospective guests. In this blog I outline the steps you need to take to develop a successful social media strategy for your hotel. 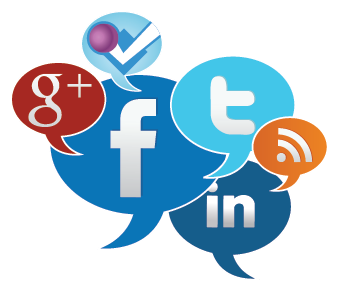 Your social media marketing strategy should only have two objectives; Brand awareness and enhancing the guest experience. Everything you do on social media must be focused on promoting and ornamenting your hotel brand, while also improving your guest experience. It has been proven by many of the industry’s leading experts that hotels that devote time to evolving an effective social media strategy achieve higher levels of guest loyalty, repeat business, and increased brand awareness. Unfortunately, creating a potent strategy involves more than just creating a Facebook page or Twitter profile. Your first step when creating a social media strategy is to sit down with your marketing and sales team and identify your target customers. Too often hotels make the mistake of trying to be all things to all people on social media. Your social media strategy cannot be like a fisherman casting his net into the ocean and then pulling back and seeing what he’s caught. Your strategy has got to be laser focused, if not it will fail. Your second step to developing a compelling strategy involves creating high quality content that social media users will want to read and share. The trick is to find the right balance between uploading promotional material about your hotel and informative content such as fun activities and interesting places to visit in your surrounding area. If there is too much promotional content you risk annoying and turning social media users off reading your content. However getting the mix right between promotional material and informative information will allow potential guest know what your hotel has to offer, while letting you engage in a more personal way with them. Social media specialists recommend the 80-20 formula, 20% promotional content and 80% value content. Patrick Mayock in his article gives us the example of the Four Seasons hotels, to show what kind of content hotels should be posting on social media. The Four Seasons allows prospective guests to put together a Pinterest board, share it with a Four Seasons property, and have a property representative respond to individual posts with recommendations about food, accommodations and activities in a given destination. It is crucial that every image you upload to social media look visually appealing. 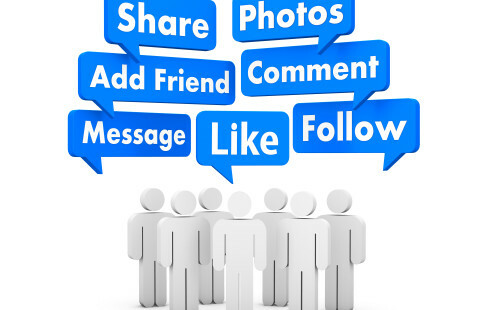 Nobody is going to like, share, or engage with a social media page or account that doesn’t look good. When it comes to social media looks to do matter and they matter a lot. Google+ Local is fast becoming a major player in the social media world. 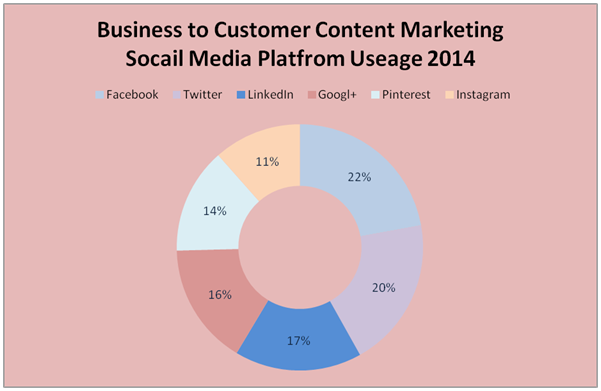 According to GWI study in 2014, Google+ now has more active users than Twitter. Think of Google+ as a directory that is integrated into Google Maps and Google Search, and allows your hotel appear in Google’s local block. This means if a traveller types in hotels in West Cork and your hotel is located in West Cork, then your hotel will be near the top of the search page. If you use Google+ smartly you will find your hotel will also have a higher ranking on Google Search. Google+ is a really good social media domain and can really benefit hotels that use it in the right way. If your hotel isn’t on Google+ then it’s time you get on it. Facebook is the undisputed Goliath of social media, for better or worse it is an integral part of many people’s lives. According to Statistics Portal Facebook had over 1.4 billion active users worldwide in 2014. Based on the statistics above it is clear that every hotel needs to have an active presence on Facebook. You risk losing out on guests and losing market share to rival hotels if you don’t utilize Facebook to its full potential. If you make the most of Facebook you will find that you and your team will have access to a wealth of demographic information on your Facebook friends and followers.You can find out data on your followers identity, their hobbies and activities, interests, and location. All of this data is invaluable when it comes to marketing your hotel to your social media followers. You can use all the data and stats from Facebook to create targeted personalized marketing communications to your target audience, which will increase your conversion rate. Facebook really proves it worth when you have to market your hotel to the millennial generation. Traditional advertising simply doesn’t work on millennials. To market successfully to the millennials you have to have your hotel on social media and provide them with content they want to read, like and share. Betty Monk in her white paper, recommends when posting content on Facebook tell a story about your guest experience that is real, honest and personal. The other heavyweight social media platform is of course Twitter. Like Facebook, Twitter affords you a great opportunity to connect and engage with potential guests and past guests. Twitter has over 284 million active users and it is estimated that 500 million tweets are tweeted every day. With such a high level of activity and social interaction, it is essential that your hotel have a manful presence on Twitter. However, despite the popularity of Twitter and the very obvious benefits it can bring hotels many hoteliers are wary of fulling embracing Twitter. I believe this has got to change and Twitter should be an essential part of every hotels social media strategy. To make the most out of Twitter their are some very important steps you have to take. Your first step is to get your hotel’s Twitter profile looking right. It is crucial that your hotel’s profile engage viewers and users right from the start. Your profile page is your first chance to make a first good impression on potential guests, and first impressions are everything when it comes to social media. Bear in mind that you only have 160 characters, so make sure to use keywords.Also make sure that you follow the right people on Twitter. Don’t play the numbers game, when it comes to Twitter followers its all about quality not quantity. Once you have the profile page right then move on to growing your Twitter community. To grow your community you must create posts that are interactive and engaging. It should be your goal to produce posts which lead to your followers responding and re-tweeting. Kurt in his article, How to Use Twitter to Put Heads in Beds, argues posts need to be conversational in order to engage the attentions of followers on Twitter. Neha Arya strongly recommends uploading images to your Twitter. Arya claims that images on Twitter generates significantly more engagement than posts without images. Post images which show your hotel in the best possible light, also post images of your surroundings and local attractions. If you get Twitter right, then you will have gone a long way in evolving a successful social media marketing campaign. Social media love it or hate is certainly a major part of people’s lives, and provides businesses from almost every industry and sector the opportunity to engage with their customers in a whole new way. The hospitality industry should be at the forefront of social media marketing. Hotels have the potential to benefit more than any other business from the move away from traditional marketing and towards social media marketing. Hotels have always relied on building a personal relationship with their guests and social media allows you to build a relationship with not just your past guests but also your prospective guests. However, the possible rewards on offer to you will only be realised if you have a dynamic and effective social media strategy. As you probably already know, emerging and ever more advanced technology and software is bringing about unprecedented and irreversible change to your industry. Just think how technology has changed your business in the past ten years. Your booking and payment systems use to probably comprise of just a diary and a pen. But now thanks technological advancements, activity providers like you have access to advanced and more efficient booking and payment systems. I know it can be a bit daunting trying to get your head around all the latest technology and software trends and innovations. However the right technology if used in the right way can really help improve your company’s operating efficiencies and generate higher revenues. In this blog I want to share with you the two most important technology trends for 2015 and 2016. After reading my blog I want you to have a far greater understanding of how technology is changing and shaping your business. Cloud software as a service (SaaS) is increasingly been adopted by business owners across all industries and the activity sector is no different. SaaS has been around for a number of years but is now only really coming into the business mainstream. If you want to give your business a competitive advantage then make sure to jump on the SaaS bandwagon as soon as possible. Under the SaaS model you will subscribe to a licensed cloud provider and software applications are delivered via the internet and browser. This means you don’t have buy the software you simply rent the software app from a cloud service. Think of SaaS the same as you think of an electricity company. You don’t produce your electricity yourself; instead you sign up to an electric company and pay a fee for whatever amount of electricity you use. Low Costs: The main advantage of the SaaS platform is the costs of maintaining servers, networks, maintenance, data backups, and storage capacity is zero. No Location and No Equipment: SaaS businesses apps are accessible any-time and anywhere by using an internet enabled device. You don’t have to invest in expensive equipment when operating on a cloud service. Automatic Software Updates: With the cloud platform you are always logging into the latest updated version of property management software solutions (PMS). 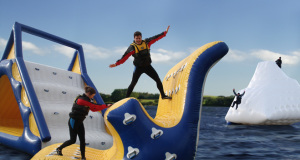 You will never again be behind the curve when it comes to latest software for activity centres. Calum Mclndoe in his blog, “Six Technology Trends Revolutionising Business”, writes, “Businesses like SaaS because, upfront investment is lower with the cloud as there are no initial hardware costs or associated expenses such as full time in-house IT staff to maintain the system.” Companies also favour the cloud because they like the idea of taking IT off site and freeing themselves of the headaches IT can bring. Cloud software as service is finally entering the consciousness of the small and medium sized business owner and once it has arrived it will not be going anywhere, because the sky really is the limit for cloud computing. 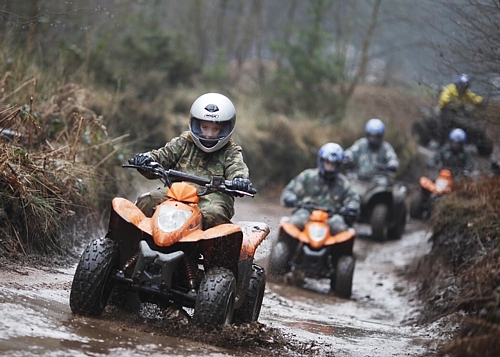 Organising and collecting payment from group bookings must rank in the top three things sure to stress out activity centre owners and managers. Having to constantly chase up organisers and group members for payment, while also trying finalise the group size in advance of arrival is enough to stresses and frustrate the most penitent among us. However there are group payment systems available for activity centres that are specifically designed to alleviate many of the problems and stresses linked to group bookings. The best group payment systems allow individual group members to book and pay for their accommodation online via smartphone/tablet/laptop/desktop. Allowing individual group members pay online for their activity has two major advantages First, you receive payment weeks in advance of arrival, which is always nice. Secondary, a group payment system will automatically finalise the final the group size for you, no more endless calls and emails to your group organisers looking for a final number. My goal for this blog was to share with you the latest technology trends which are dramatically changing and revolutionizing your business. 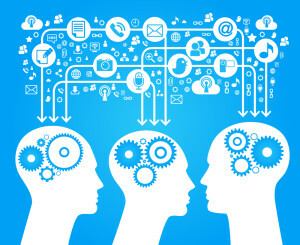 Traditionally activity centres have been slow in utilizing new technology. But that has got to change, if you are to remain in business you have got to embrace new technology. Are you sick of Online Travel Agents (OTAs) reaching into your pocket and grabbing fistfuls of your money? I can only imagine how painful it must be for you to have to pay OTAs 15%- 25% commissions on every booking they send your hotel. According to research carried out by Digital Key in 2014, 1 in 3 leisure bookings and 1 in 2 business bookings are now made through OTAs; which means there a lot of hotel owners and managers handing over colossal amounts of cash to the likes of Booking.com and Expedia. However hotels do have options and take steps that will curb the power of the big OTAs and allow hotel managers like you to regain control over your hotel. In this blog I am going to show you how you can fight back against the OTAs. Investing both time and capital into meta-search is one of the key tools hoteliers from across the globe are using to fight back against the large powerful OTAs. You have probably heard a lot about meta-search engines in past couple of years. It certainly seems like every hospitality insider and expert has been either talking or writing about meta-search engines. But what exactly is meta-search and how can it help you and your hotel? Basically a meta-search engine brings together data from various different search engines such as Google, Yahoo, and Bing, in order to bring a user the best possible search results. If that didn’t make sense to you just think of a meta-search as a search engine inside a search engine!! With meta-search potential guests are able to access information regarding your hotel’s location, availability, real-time rate information, and guest reviews, through your hotel’s website, provided of course you have this information uploaded on your website. Many hospitality and tourism experts such as Des O’Mahony and Ciaran Rowe have descried meta-search as a halfway house between booking direct from a hotel and booking a hotel stay through an OTA. Meta-search on its own is not the answer to all your problems and troubles concerning OTAs. Nevertheless meta-search if used in a smart way can definitely shift a guest’s focus away from OTAs and back to hotels. If a guest can find all the information they want on meta-search from a hotel website it serves no purpose to book with an OTA. Meta-search can put OTAs and hotels on an equal footing, if used correctly. The pie chart above very clearly shows that travellers are really starting to embrace meta-search when booking a hotel. 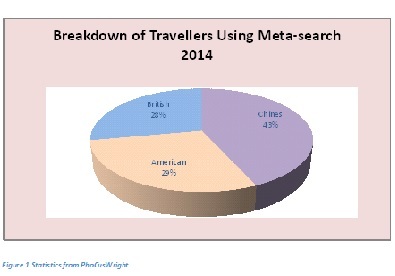 43% of Chinese travellers and tourist now use meta-search when booking a hotel. It’s time you got your hotel on meta-search. Clearly having a presence across meta-search engines is a must for any hotel that harbours ambitions of taking back control from the OTAs. However meta-search does require investment, takes time, and is quite technical (You will have to outsource the technical end of things to a third party). Making a commitment to capturing and storing every one of your guest’s email addresses is relatively straightforward and is another absolute must for hotels in their battle with OTAs. Capturing and storing guest email addresses also doesn’t require any major investment on your part. Having access to all your current and past guests email addresses allows you and your team to directly market your hotel to all your previous guests. You will be able to keep former customers informed about any special offers and promotions your hotel is running. The major advantage of direct emails is it lets you re-establish the link between hotelier and guest. Madigan Pratt in his blog, “The New Hotel Mantra-Drive Profitable Direct Bookings”, argues that hotels who email their guests relevant quality marketing martial will see an impressive increase in their direct bookings. Capturing and storing your guest’s emails will give you an advantage over the OTAs and will help you drive up your direct bookings. It is for this very reason I suspect Booking.com has decided not to hand over guest’s email addresses to hotels. It is very likely that the other big OTAs will follow suit. To make sure you attain all of your guest’s email addresses I recommend you enforce a strict policy of making your reception staff collect every guest’s email address at check-in or check-out time. If your hotel caters for group bookings then it is also worthwhile considering investing in group payment software. A group payment system will automatically capture and store every group member’s email address. If the average hotel takes in three bookings a month and the average group size is between 15 to 20 people, then you clearly have a sizable database of past guests to market to. Hotels still own most of the guest experience (although OTAs are increasingly trying to take more of it) and you as a hotel manager must use this to your advantage to generate more direct bookings. Selling your bedrooms at a lower rate than OTAs isn’t an option (because they demand rate parity) but you do have the option to add more value to your guest experience, and that is something the OTAs can’t do at the present time. Many hotels have started to offer travellers incentivise such as mobile check-in, late check-out, and free breakfast room service to guests who book their stay with a hotel direct rather than through an OTA. Hotels have also found success in increasing their direct bookings by offering guests who book direct a more personalised guest experience. For example you could allow your guests to choose what kind of bed they sleep in, allow them to set the temperature and lighting in their bedrooms, and let them choose what the minibar will be stocked with. To achieve more direct bookings you have to keep constantly adding value and improving the guest experience for those guests who book direct. Travellers need strong and compelling reasons to ignore the OTAs and book direct through your hotel’s website. It’s your job to provide the incentives that will make guests book direct. Hotel loyalty programs also give you the opportunity to both improve the guest experience and sell your bedrooms directly to your guests. OTAs can’t offer their customers the exclusives offers guest can acquire by being a part of a hotel’s loyalty program. Use your loyalty program to fight back against the OTAs and raise your direct bookings. A hotel loyalty program works in very much the same way as frequent flyer miles work in the airline industry. Guests accumulate free awards when they make repeated purchases with a hotel. Typically a hotel loyalty program will offer guests (depending on the amount of points they have earned) value-added benefits such as free room upgrades, early check-in and late check-out, free spa treatments and guarantee room availability. A lot of the success OTAs have enjoyed in the past 15 years is down to excellent marketing. OTAs are completely focused on their customers and what they want and need. All of their marketing and advertising is targeted at different segments of hotel guests. OTAs can never be accused of not understanding their customers. Unfortunately the same cannot be said about the hospitality sector. We all know of hotel owners who run their hotel for themselves instead of their guests. Hotels need to become much better at understanding their guests and what they want and need from a hotel. One of the best ways you can learn about your guests is to go onto hotel review sites and see the good and bad things your guests are saying about your hotel. Base all your marketing around the good feedback and take on board the negative comments and fix any problems. However creating a marketing campaign that allows your hotel compete with the big OTAs will take more than just monitoring review sites. It will involve you and your team segmenting guests, analysing the results of your marketing campaigns and sadly it will entail you getting your cheque book out and spending money. Lots of hotels make the mistake of setting a budget for developing a marketing strategy to attract more direct bookings. A general manager at the start of the financial year may come in and say he has £2,000 to spend on establishing his hotel on meta-search engines, another £2,000 to spend on a website and £1,000 to spend on a group payment system. Unfortunately it doesn’t quite work like that. Setting a budget for your marketing is a like setting a budget for your bar or restaurant. Imagine you set a budget of £2,000 for your restaurant to spend on buying steaks, and after you had spent all of that £2,000 you don’t buy any more steaks even though steak was your biggest seller and you made a good profit. If you want to redress the balance of power between OTAs and your hotel then you are going to have to continually invest and reinvest in marketing that attracts direct bookings. You have to realise that, every direct booking your hotel gets, the more cash at check-out for you. You make far more profit from a direct booking than a booking from an OTA. No hotel on its own can beat Booking.com or Expedia, and nor can masses of hotels working independently of each other take back the power from OTAs. To really change the dynamic between hotels and OTAs; hotels need to join forces and work together as a collective. One of the fundamental problems hotels have when going up against the OTAs is the lack of strong collective bargaining power. There is little point in one hotel or even a group of hotels trying to negotiate with joint OTAs. Instead the industry as a whole must negotiate with all OTAs on behalf of the whole industry. 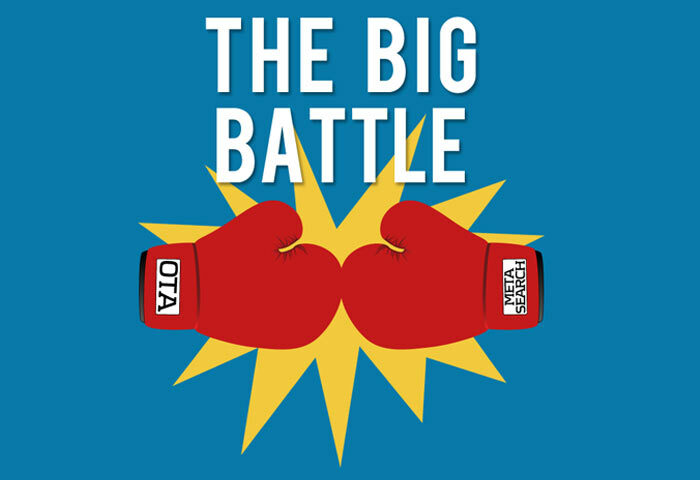 The relationship between OTAs and hotels now resembles an abusive relationship, with OTAs calling all the shots and taking most of the rewards; while hotels are too afraid fight back and are forced to accept whatever the OTAs dictate. But I believe the time has come for every hotelier to start fighting back against OTAs. In this blog I have outlined a number of actions you can take to achieve more direct bookings and win back control of your business. Do not become resigned to the belief that OTAs will always dominate hotels. You have the ability to fight, so let the battle begin. As you probably already know, emerging and ever more advanced technology and software is bringing about unprecedented and irreversible change to your industry. Just think how technology has changed the hotel business in the past ten years. Providing free Wi-Fi in bedrooms used to be a luxury but in the age of constant connectivity, not having free Wi-Fi in a guest’s bedroom is like not having a bed in a hotel room. I know it can be a bit daunting trying to get your head around all the latest technology and software trends and innovations. However the right technology if used in the right way can really help your hotel improve its operating efficiencies and generate higher revenues. In this blog I want to share with you the 3 most sufficient technology trends for the hospitality industry for the next two years. After reading this blog I want you to have a far greater understanding of how technology is changing and shaping the business you rely on. Contemporary hotel guests are a demanding bunch. They want and expect hotels to deliver an ever more personalised service that caters for their own specific needs and wants. Guests want you and your staff to make them feel important and to treat them like a VIP. 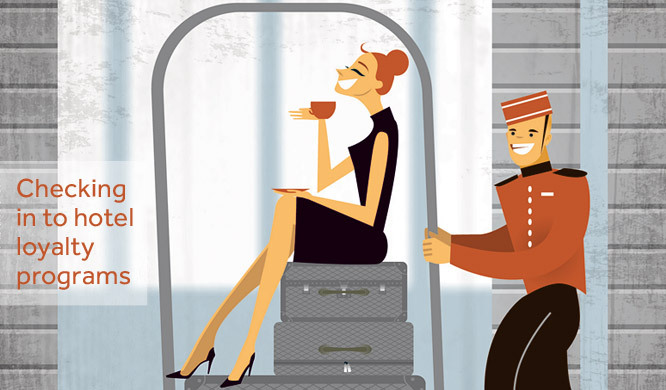 The demand from guests’ for greater customer service has lead to the creation of what industry insiders call the “Personalised model” of guest service. The personalised model gives guests greater control over their hotel stay. For example, guests can decide through their smartphones, the lighting in their room, what size their hotel room will be, what type of bed they will sleep on, what temperature the room will be set at, and what type food will be stocked in the minibar. Just think how impressed your guests would be if they could, through their phones, personalise their hotel bedroom the way they want. Delivering a personalized service however does require hotels to fully embrace mobile technology. Guests need to be able to download apps to their smartphones that allow them create their own unique personalised hotel stay. Mobile Media are one of a number of companies that focus on developing apps for hotels and have a good record. 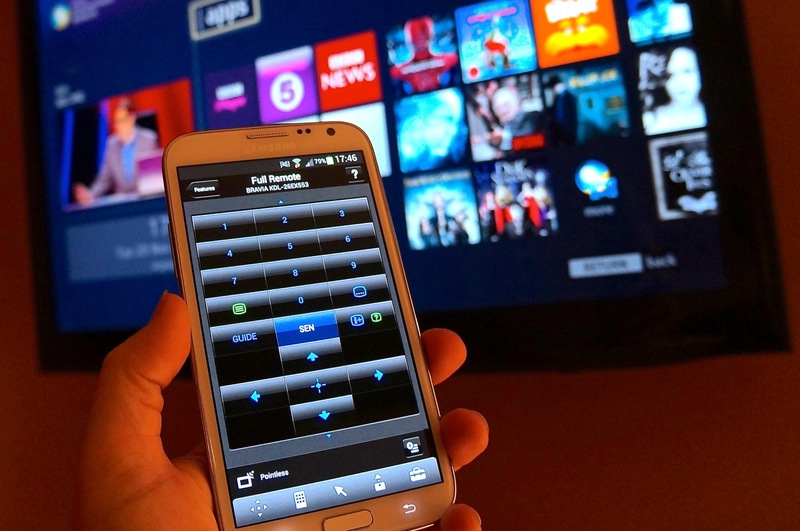 During the 2012 Olympic Games Samsung and Holiday Inn teamed up to allow travellers control their room TVs, lighting, and air conditioning via smartphone apps and Samsung has continued to develop apps for the hospitality sector. No segment of hotel guest embodies the move towards the ultra personalised service than the tech savvy millennial generation (The generation aged between 20-35 years old). The millennials are very used to being able to tailor services and products to their specific needs and wants; and they are also the generation that lives their lives through their smartphones. As the millennials come of age and their incomes grow they become ever more important to the hospitality sector. It is forecasted that the millennial generation will replace the baby boomers as the dominant consumer group by 2017. If you want to attract the modern young professional hotel guest to your hotel you will have to ensure your hotel provides the best possible personalised service. Many tourists and hospitality experts argue that technology enabled personalisation service can generate increased customer loyalty, higher occupancy rates, and larger income for hotels. Cloud software as a service (SaaS) is increasingly been adopted by hoteliers as an alternative to on premise web servers. SaaS has been around for a number of years but hotels have been slow to fully embrace SaaS. However, 2016 will be the year hotels finally jump on the SaaS bandwagon. 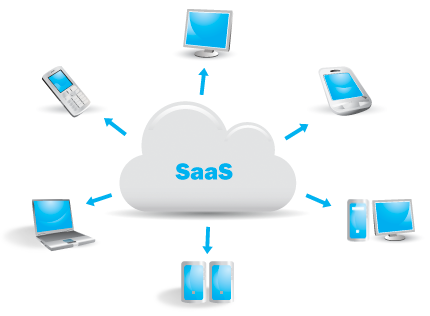 Under the SaaS model hotels subscribe to a licensed cloud provider and software applications are delivered via the internet and browser. The hotel doesn’t buy the software, it simply rents the software app from a cloud service. Think of SaaS the same as you think of an electricity company. You don’t produce your electricity yourself; instead you sign up to an electric company and pay a fee for whatever amount of electricity you use. No Location, No equipment: SaaS businesses apps are accessible anytime and anywhere by using an internet enabled device. Hotels don’t have to invest in expensive equipment when they’re operating on a cloud service. Automatic Software Updates: With the cloud platform you are always logging into the latest updated version of property management software solutions (PMS). You will never again be behind the curve when it comes to latest software for hotels. Hotels also favour the cloud because they like the idea of taking IT off site and freeing themselves of the headaches IT can bring. Hotels from large chains to small boutique hotels and everything in between are increasingly seeing the benefits of SaaS. Cloud software as service is finally reaching the hospitality industry and once it arrives it won’t be going anywhere because the sky really is the limit for cloud computing. If you work in a hotel that caters for a lot of group bookings, you will know the hardships and problems group bookings cause hotel staff. Having to constantly chase up organisers and group members for payment, finalise the group size while also trying to get a room lists together in time can be very frustrating and stressful. However, there are group payment systems available for hotels that are specifically designed to alleviate many of the problems and stresses linked to group bookings. The best group payment systems allow individual group members to book and pay for their accommodation online via smartphone/tablet/laptop/desktop. Allowing individual group members pay online for their accommodation has two major advantages for hotels. First, hotels receive payment weeks in advance of the arrival, which is always nice. Secondly, a group payment system makes organising and finalising room lists for group bookings considerably easier and less stressful. My goal for this blog was to share with you the latest technology trends which are dramatically changing and revolutionizing the hotel business. Traditionally the hospitality industry has been slow in utilizing new technology. But that has got to change. If your hotel doesn’t fully embrace new technology, then you risk your hotel been left behind in the last century along with the fax machine and dial up internet. ​Why not download the PDF version for free? Just Leave your name and e-mail below and we will send it to you shortly. Before the age of the internet, social media, online travel agents (OTAs), and online review sites, a bad review from a guest was just that, a bad review. But in today’s world where everyone is connected to everybody through the World Wide Web, two or three bad review from guests on Trip Advisor has the potential to seriously damage your hotel. Just as negative online reviews can hurt a hotel’s reputation, a serious of good reviews can build a strong and respected reputation for a hotel. Increasingly a guest’s first action after choosing a location is to get their smartphone or tablet out and look up online reviews for hotels in the area they’re going to be visiting. A recent survey carried out by Search Engine Land; found that 88% of people surveyed now trust online reviews as much as personal recommendations. Big OTA sites such as Holiday Check, Booking.com, and Trivago can offer travellers tens of millions of hotel reviews to look at. In March 2013 TripAdvisor announced it had 100 million reviews uploaded to its site. As hotel review sites such as TripAdvisor grew in popularity and started to gain more influence over travellers, tensions between hotels and review sites were inevitably going to rise. It looked like hotels were preparing to declare all out war on review sites in 2011, after number of hotels brought TripAdvisor to court alleging that false and misleading reviews were published. However since 2012, relations between review sites and hotels have improved considerably and a number of hotel chains have now entered into partnerships with review sites. For example, the Four Seasons group allows potential guests to access Trip Advisor reviews through its own website. The reason for this change in attitudes is because hotels now understand that review sites cannot be beaten and are here to stay. A 2012, study by Forrester found that over 50% of travellers would not book a hotel that didn’t have online reviews. Positive reviews on review websites such as Trip Advisor can be extremely beneficial for your hotel. According to hospitality and resource tools.com, a one star increase on your average rating online can increase your hotel’s income by 9%. 360E-commerce found that revenue rose by 56% for hotels that consistently generated good online reviews. Clearly generating a consistent and steady flow of positive reviews is very important for your hotel. But achieving this is easier said than done. However there are some practices you and your staff can follow to ensure you achieve a high number of good online reviews for your hotel. Become a Guest: It is a really good idea for hotel managers and owners to experience what it’s like to be a guest at their hotel. Hoteliers that familiarise themselves with the guest experience get a much better appreciation of what a guest like and dislike about their hotel. Be Honest and Manage Guest Expectations: A lot of hotels fall into the trap of overselling and over promising. Over selling and over promising will be perceived by guests as been dishonest and will lead to an avalanche of bad reviews been posted online. Deliver Excellent Guest Service: Exceeding your guest’s expectations is a great way to ensure you generate a large number of positive online reviews. Try and anticipate your guests’ needs before they even ask. This isn’t always an easy thing to accomplish but if you and your staff can pull it off, your guests will be blown away by your customer service and will be far more likely to post good reviews. In her article, The Best Referral Strategy on the Plant, Marla Diann writes, “When we go well beyond meeting the expectations of our clients, and give them those special “extras” that simply “wow” them – we have the making of a raving fan and a loyal client who will more than likely write a great review. We know how important online reviews are to hotels. Regularly obtaining good reviews online will do wonders for your hotel’s reputation and really help boost your hotel’s revenue. But what happens when your hotel gets a bad review on Trip Advisor or another review site? No matter how great your hotel and staff are, you are bound to get a bad review every once in a while. It’s simply impossible to please every single guest every single time. Some experts claim that one bad review can result in up to 30 lost reservations, while this may be over stating the problem slightly there is no doubt that bad reviews online are bad for business. However hotel owners and managers do have some options when their hotel receives a negative review. The consensus amongst industry experts is that hotels should respond to every negative online review. A 2012 survey of 2,800 people carried out by TripAdvisor and PhocusWright found that 84% of respondents agreed that an appropriate management response to a negative online review improved their impression of the hotel. 64% of respondents agreed that an aggressive or defensive management response to a negative review made them less likely to book a stay at that hotel. It is clear that the way you respond to bad reviews is key. Carolyn Murphy a in her blog, How to Respond to Negative reviews, outlines the steps you should take when responding to a bad review. Thank the guests by name: You should thank guests by their name for their feedback even if the review is aggressive and upsetting. The effects of a bad review can be alleviated if you handle the situation with tact and politeness. Apologize for the guest’s poor experience: An apology is not an admission of guilt. You are simply apologizing and expressing sympathy that the guest’s expectations were not met. Address Complaints Quickly: If a guest comes to you with a problem or complaint you have to make sure you address that problem promptly and effectively. Failure to deal with the issue will in all probability result in a bad review for your hotel. Guests want their complaints to be taken seriously. Evaluate the need for follow up procedures: If you have the guest’s email address it is a good idea to email them and ask them some follow-up questions such as. Did this guest experience a systemic problem that each customer could face? Is there an easy fix to the problem? Is the problem unfounded or not likely to be repeated? Emailing the guest will also mean that the conversation will be moved off a review site and into a private setting, avoiding any more PR damage. Online reviews are going nowhere; travellers trust them and will read them in ever increasing numbers before they book a hotel. 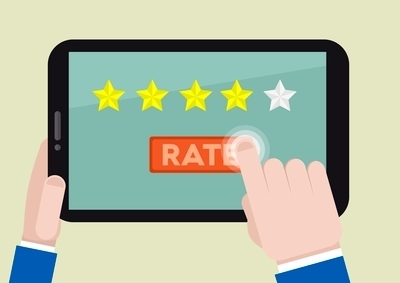 Hotels have no other choice but to adapt and expect the influence of online reviews. For better or worse, the guest is now well and truly King. Generating new business and attracting new guests requires significant investment in marketing and advertising. Media campaigns, improving your search engine optimization, or paying online travel agents such Booking.com a higher commission hurt your bottom line and are drag on your capital resources. It is far more logical to develop a steady flow of repeat business from your past guests. Research carried out by Second Opinion Marketing found that it cost five to eight times less to retain existing customers than attracting new customers. One of the best ways to boost your hotel’s repeat business is to establish a guest loyalty program. This blog will provide you with an overview of hotel loyalty programs and the benefits a loyalty program can bring to your hotel. A hotel loyalty program works in very much the same way as frequent flyer miles work in the airline industry. Guests accumulate free awards when they make repeated purchases with a hotel. Typically a hotel loyalty program will offer guests (depending on the amount of points they have earned) value-added benefits such as free room upgrades, early check-in and late check-out, free spa treatments and guaranteed room availability. Jennifer Nagy in her blog, The Importance of Hotel Loyalty Programs, argues that the so-called ladder format is the best format for a hotel loyalty program. As members of the loyalty program earn more points, they are able to redeem their points for higher-value rewards. “This format makes the ladder system effective at incentivizing loyalty amongst hotel guests,” writes Nagy. The format of the ladder system also means that guests with a small or medium size budget to spend can benefit from a hotel’s loyalty program. Many hotels make the mistake of solely targeting their loyalty program on elite guests who are able to spend huge sums of money when staying at a hotel. To get the most out of a loyalty program you will have to make sure there are attractive rewards on offer to all guests and not just guests with big wallets. Communication To build loyalty and generate repeat business among members of your loyalty program you will have to find an effective and efficient way to communicate with your program’s membership. Members of your loyalty program will need to know how many points they have, how they can redeem them, and what rewards they are entitled to. Some hotels have introduced a standalone app for reward management, while other hotels communicate with members through general hotel management apps that also provide guests with information about check-in and check-out as well as information about loyalty points. You can also simply send your members an email notifying them of their points and what their entitled to. Hotel loyalty programs have been around since the early 1980s and were developed by large hotel chains to ensure guest retention and to encourage active purchases. However in recent years some experts in the tourism and hospitality industry have started to question the value of loyalty programs for hotels. Critics of loyalty programs point to the fact that it costs hotels somewhere between 1% and 5% of room revenue to create, promote, and operate a loyalty program. There has been a trend recently amongst big utility companies to offer very good deals to new customers while simultaneously raising prices for existing customers. I have argued throughout this blog for hotels to do the opposite, and to concentrate on guest retention and less on attracting new guests. It makes far more sense for hotels to generate more repeat business than constantly trying to drum up new business. Loyalty programs are becoming an increasingly important factor in determining what hotel a guest decides to book a stay in. A study carried out by Market Metrix found that the desirability of a hotel’s loyalty program ranked fourth in the top deciding factors that influence guests when booking a hotel. If your hotel doesn’t have a loyalty program then get your team together and make it your top priority to develop an efficient and effective loyalty program for your hotel. The above anecdotes are all really great examples of hotel staff up-selling to guests. In this blog I will explain all the advantages and benefits up-selling can bring to your hotel and provide you with information on how to up-sell to your guests. Up-selling is used by a large and growing number of companies across many different industries as a key component in their marketing and revenue generating strategy. Electronic stores offering extended warranties and home deliveries, trades people offering upgraded kitchen and bathrooms, and airlines charging passengers extra for extended leg-room are all great examples of different businesses using the up-selling model to increase their profits. However the hospitality industry has been slow in adopting the up-selling mode. Instead hotels have favoured providing high valued guests with free upgrades, in hopes of attracting repeat business and brand loyalty. Up-selling simply involves a sales person (In a hotel this would be the receptionist, reservation manger, or revenue manger) selling an existing customer a more expensive or additional product or service. In the context of the hospitality industry this could mean a hotel offering guests the chance to purchases a more personalised service or access to extra hotel amenities such as the spa or gym.Perhaps the reluctance amongst hoteliers to fully adopt up-selling can be explained by the misconception that in order for a hotel to up-sell to its guests it must provide premium inventory to get maximum value. Fortunately hotels like every other enterprises only has to focus on the advantages their business has in order to up-sell. It is also very important to note that up-selling can also allow a company to turn a perceived disadvantage into advantage. Tim Peters in his eBook, When More is More, gives the example of a hotel located close to an airport that up-sells its runway view bedrooms to families with young children. As you know a bedroom with a view of a runway would not be very desirable and most hotels would offer those bedrooms at a much lower rate. However the hotel that Peters gives as an example was able to up-sell runway view bedrooms by marketing the rooms as making the hotel experience more memorable and enjoyable for children, because they can watch the planes land and take off. Hotels situated in city centres have found they can up-sell their smallest rooms by marketing them as executive efficiency bedrooms, which offer business travellers breakfast, faster internet speeds, and mulit-function printers. The Up-sell model works because people don’t have an in build value meter that tells them how much things are. Instead people focus on the relative advantage of one thing over another, and estimate the value accordingly. All you have to do is offer your guests a service or product that has perceived value for your guests. It is up to every hotel manager, revenue manger, and marketing manger to up-sell every aspect of their hotel. As we have seen from the examples above there is very little of a hotel that cannot be turned into an up-sell and a disadvantage can be turned into advantage. If you want raise your hotel’s revenue through increasing your occupancy rate you will have to spend valuable resources on prompting your hotel online through paid search, SEO activities, buying advertising in the media or paying higher commissions to online booking agents like Booking.com and Late-Rooms.com. If you try and raise revenue through increasing room rates you risks coming up against guests’ resistances and loss of market share to your competitors. The beauty of the up-selling model is it allows you to increase your hotel’s revenue without having to spend huge amounts of money or risk losing guests. It is essential that your staff are trained and confident in up-selling to guests. Make sure your employees have an in-depth knowledge of the services and products you are trying to up-sell. Make sales part of the job description for your reception staff. You can start up-selling as soon as a guest makes a booking. If a guest books on the phone make sure your reception staff tells the guest about the special offers your hotel has to offer. Alternatively if your hotel has an online payment system you can set up automated emails to be sent out to new bookings informing them about all your up-sell offers. 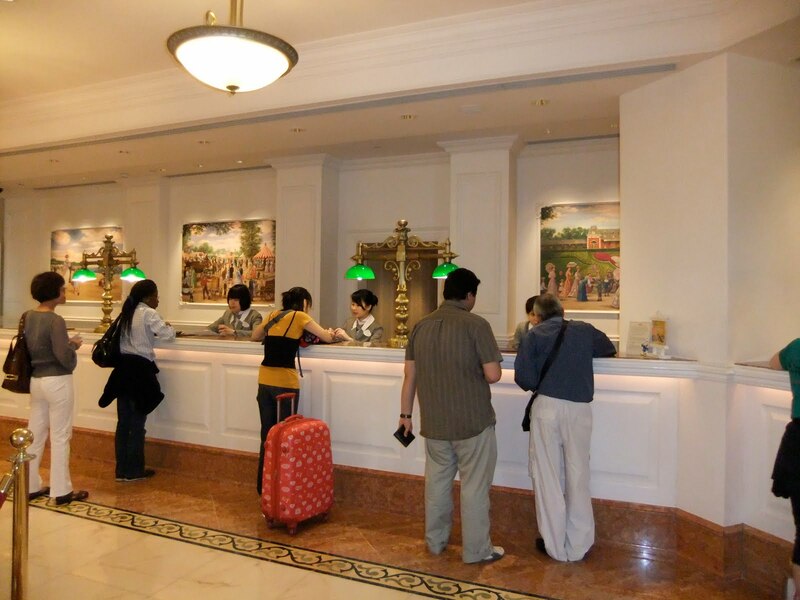 The check-in offers you and your staff a great opportunity to up-sell to your guests. A guest may have booked a basic package but get your reception staff to offer every guest the chance to upgrade to the deluxe package. Remember that guests don’t like to be sold but do like to buy. So don’t try and push the up-sell on your guests, up-selling is not about the hard sell. It may seem strange but a great time to up-sell is when your guests are checking-out. Inform your guests about your hotel’s loyalty program and your promotional offers. Up-selling at check-out time will get guests use to been offered up-sell services which will lead to guests been more open to buying up-sell services in the future. As mentioned early in this blog getting more guests is not easy and can be very expensive. An article from the Irish Daily Mail found that hotel booking sites are charging hotels between 15% and 25% commission on every booking. Up-selling allows you to get the most out of your business and increase your revenue without investing heavily on marketing, and paying online booking sites outrageous sums of money. If you haven’t fully embraced the up-sell model now is the time to do it. Increasing bedroom rates is of course one of the chief ways hotel owners and managers boost income and profit. However due to the fear of losing guests and market share many hoteliers are weary of increasing their prices. This was especially so during the Great Recession. Many hotels got stuck in the trap of constantly dropping their prices in a bid to attract guests away from competitor hotels and protect their market share. As a result hotel bedroom rates have plummeted and hotels have found it a challenge to turn over a profit. Thankfully as the economy has started to recover and to grow again, hotel bedroom rates have also started to creep up. No business and no industry can grow or expand if prices are continually falling or stagnating. Rising prices mean hotels can grow and expand again. My ambition for this blog is to give you some helpful tips and practical advice on how to raise your hotel’s prices without losing guests. The value of a product or service is the worth customers places on a product or service. The higher the value the higher the price you can charge. The vast majority of successful businesses are successful because they get the match between price and value right. When the time comes to raise your prices you should also raise the value you offer your guests. Remember that a higher price implies greater quality. 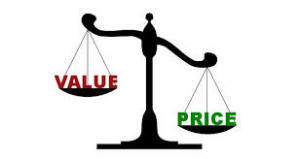 It is critical you get the match between price and value right. Failure to get the match between price and value correct could lead to customer resistance and a decline in the number of guests visiting your hotel. Always remember that price is what your guests pay and value is what they get. When setting the price for a product or service there are three primary methods to choose from. The three approaches to pick from are cost-based pricing, completion-based pricing, and customer value-based pricing. All three mechanisms have their advantages and disadvantages, but the consensus amongst business experts and those working on the frontline is that the customer value-based pricing method is the best pricing strategy over all. Andress Hinterhuber in his article (Sited above), writes, “The increasing endorsement of the customer value-based strategies among academics and practitioners alike is based on a general recognition that the keys to sustained profitability lies in the essential features of customer value-based pricing. Choosing the right time to raise your prices is crucial. If you get the timing wrong your risks losing guests to your rival hotels. It is generally accepted that the best time to raise prices and bedroom rates is just before a busy period. If you want raise your bedroom rate for the busy summer season, then start making perceptions for the price increase in early spring and then raise your prices in April just before the start of holiday season. Judith Aquino in his blog, recommends employing the freemium model of pricing. The freemium model works by offering a basic product or service free of charges while charging a premium rate for advanced services. There is a growing trend in the hospitality industry of using the freemium model in relation to internet and WI-FI services. A hotel could for example give its guest’s free basic WI-FI but then charge a premium rate for an upgraded service that offers faster download speeds and better accessibility. There is considerable scope to expand the freemium model to other aspects of your hotel business. For instance you could offer your guests a cheap bottle of wine for free with their dinner and then charge a premium rate for a higher quality bottle of wine. This blog has been about how to raise your prices while avoiding guest’s resistances. After reading this blog I want you to walk away with the confidence and self-belief to raise your prices and not fear losing guests and market share. Rising prices are a sign of a hotel’s health and vitality. Turning as many prospects (potential guests) into paying guests is obviously going to decide if your hotel is going to be a success or a failure. Filling your bedrooms night after night, week after week is what it’s all about. But we both know that’s easier said than done. However there are some simple steps you can take to ensure that you convert more of your prospects into paying guests. You have to understand when somebody is looking for a hotel they are going to be offered a lot of choices. In actual fact they will be presented with so many hotel choices they won’t possibly be able to look at and investigate every hotel the internet offers them. So how to do you attract potential guests to your hotel and not your competitors? The answer to this central question lies in making your hotel stand out from the herd of hotels that Google shoots out at people. Or maybe your hotel is the only hotel in the area that allows guests bring their pets with them. There are a lot of pet lovers out there and they will really want to know if your hotel allows them to bring their beloved four legged babies. You have to constantly advertise and publicize what makes your hotel different from all the rest. The days when you could simply throw open the doors of your hotel and watch the guests roll in are over. Selling hotel bedrooms are like selling any other service or product; you have to fight hard for every guest. Always remember that uniqueness will differentiate your hotel from your competitors and thus draw more guests towards your business. Neil Salerno in his article, 5 Simple Ways to Improve Hotel Sales in a Lousy Economy, argues that adding value is key to turning prospective guests into paying guests. Salerno advocates creating and promoting special packages as a way of adding value to your hospitality business. Salerno also points out that establishing special packages will allow you to mask the through rate of your bedrooms. If your hotel doesn’t have packages at the present time you should sit down with your key team members and put your heads together to come up with different packages for the different types of guests which stay at your hotel. 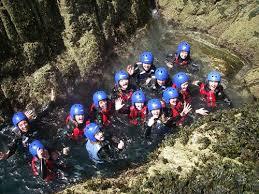 Quite a number of hotels find it both useful and profitable to design packages exclusively for hen and stag parties. Amazingly many hotels fail time and time again to follow up on inquiries made by prospective guests and possible group bookings. There are so many hotels that are losing out on bookings and revenue, because they don’t put in the time and effort to follow up on promising inquiries. Collecting contact information will allow you and your staff to touch base with potential guests after their initial contact with your hotel. It also gives you the chance to up sell to your guests and group bookings, and gives your sales and marketing departments the opportunity to send promotional material to possible guests. If your hotel operates an over relaxed attitude towards following up on inquiries from prospect guests, then its time you shake up the culture in your hotel. It should be every hotel’s policy to always follow up on potential inquiries from possible guests. Many hotel managers who find they are having trouble turning prospects into guests will immediately drop room rates. Reducing room rates may seem like a reasonable course of action when you’re struggling to get paying guests. However, this is not always the case and in many cases it is the wrong move to make and will do more harm than good. 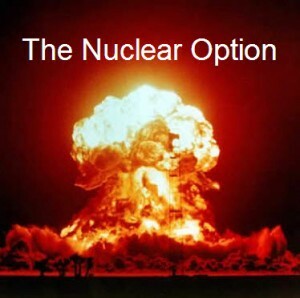 Instead, hotel managers should come to regard dropping room rates as the nuclear option and should only drop room rates after all other marketing options have been exhausted. If you are struggling to generate a higher occupancy rate for your hotel, you should consider up-selling more to your existing guests. Many hotels find it both beneficial and very profitable to up-sell to guests. For example, if your hotel caters for a lot of couples you could create a special romantic package and charge couples a premium for the package. Always remember that people hate to be sold but love to buy, so make sure that any packages you create have value for guests. It is of Paramount importance for the growth and survival of your hotel business that you are able to convert prospects into guests. To put it simply the success of your hotel relies on your ability to turn as many prospects as possible into paying guests. If you are worried that you are not converting enough prospects, then why not implement the steps outlined in this chapter? Are you getting the most out of your website? Does your website generate enough customers for your business? 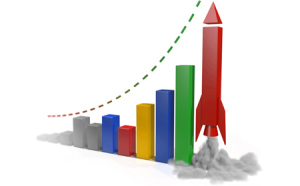 Or is your website a bit of an under-performer when it comes to attracting customers? In today’s online world it is critical that your website is front and center in your marketing and sale strategy. In this blog I want to share with you some useful tips on how to get the most out of your website, and how to capture more leads from your web traffic. 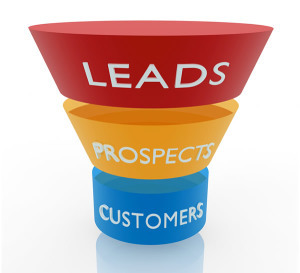 A lead is simply a marketing term for a person who has visited a website and is willing to leave behind some kind of contact information. This could be an email address, a home address, or a phone number. The challenge is to convert your site’s web traffic into hot leads for your activity center. If your finding that your website is getting a lot of traffic but you’re not capturing enough leads, ask yourself how user friendly is your website? Is fundamental information easily found and clearly displayed on your website? Or is the opposite the case? Is your website a labyrinth of pages where leads have to search through page after page just to find out basic information? • How to book and pay for group events. It is crucial for your business that vital information can be found without difficulty by possible customers. Nobody is going to search through a maze of web pages looking for basic information that should be easy to find. Link Solutions recommends organizing all of your content into categories. For instances, activities and offers, prices, your facilities, and group event information should be separate categories. Try and limit yourself to seven main categories, you don’t want to overload your leads and customers with loads of information and loads of different categories. If you find that you need more than seven categories which often happens then label one of your categories as MORE and provide a drop down menu and add in all your subcategories. How you brand and design your business online is also extremely important. You must always be aware that your website allows leads and possible customer to form a first impression of your activity center; And first impressions are everything in business, customers look before they book. People are not going to look twice at a business that doesn’t look good online. 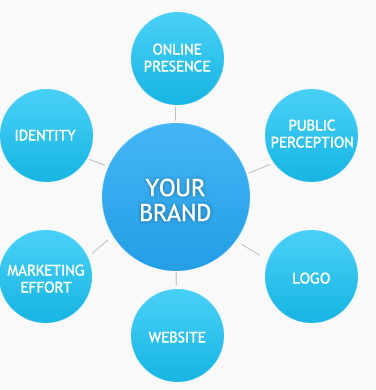 A good tip when it comes to designing your website is to use your company’s brand colours. Don’t use new colors no matter how good you think they look. Try also to standardize your logo and color scheme. The font size you chose for your website is another vital factor for you to consider. You have to put some thought and time into it. You need to pick a font that is easy to read and that looks good. You will also need to make sure the font colour you choose can be read against your website’s background. Arial, Verdana, Tahoma, Times New Roman, and Comicare are all good fonts for business websites. If your activity center has a lot of customers coming from countries that don’t use English as their first language, then why not offer a translation service on your website? Providing a translation service on your website will take some time and effort but it is a great way to capture more leads from countries that are not part of the English speaking world. It is only logical that consumers travelling from France, Germany, or any other country that doesn’t use English on a daily bases would choose an activity center that offers a language service. Just think how impressed tourist from Europe would be if they could read what your activity center has to offer in their mother tongue. If you decide to add a translation service to your website look up Google translate.Google Translate will walk you through the rest of the process. However it is important to realize that Google translate is the cheap choice and may not be the best option. There are a number of other language translations companies on the market that will for a fee translate all your website content into whatever language you want. Up loading images to your business website is another really great way of engaging the attentions of leads. People will always check out your images before reading any written content. The right images used in the right way can make a huge difference to your company’s reputation and bottom line. But be cautious with the pictures you put up on your website, just as the right images can attract lots of leads and customers. The wrong images can turn people of your business and lead to you missing out on bookings. This blog has been all about how to captures more leads from your website traffic. It is essential that you invest both time and money into developing the right website for your business. Always remember that your website is your company’s primary marketing tool. You have to get it right.